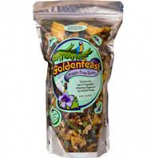 A peanut free formula specially developed for conures who love the excellent flavor and variety. 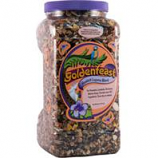 Other small to medium sized parrots such as african grays and lovebirds will also love it. More than 35 ingredients. 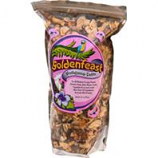 Made with natural wholesome ingredients. .
For parrotlets lovebirds amazons and african greys. Contains over 35 ingredients. Made of natural wholesome ingredients. . .
Peanut free!. For all pocket parrots plus cockatiels and lovebirds. Over 35 ingredients chopped to beak perfection. 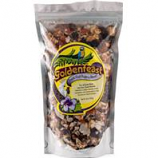 Made with natural wholesome ingredients. .
Peanut free!. For finches canaries parakeets doves parrotlets and cockatiels. 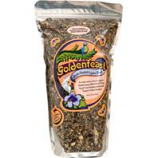 Includes freeze-dried and dehydrated fruits herbs spices and vegetables. Made with natural wholesome ingredients. . 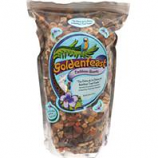 Exclusively made of quality seeds selected in function of the natural food of various types for australian parakeets. 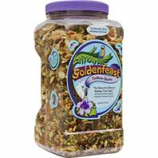 Complete food enriched with vitamins amino acids and minerals. . . . 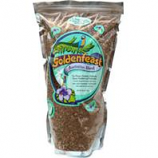 Exclusively made of quality seeds selected in function of the natural food of various types of australian parrots. 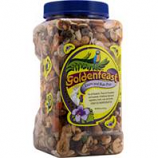 Complete food enriched with vitamins amino acids and minerals. . . . 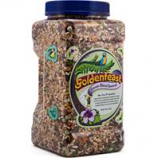 Exclusively made of quality seeds selected in function of natural food of south american big parakeets and parrots.. Complete food enriched with vitamins amino acids and minerals.. . . . 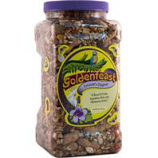 Exclusively made of quality seeds selected in function of the natural food of various types of african parrots.. 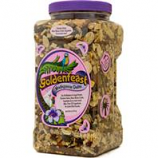 Complete food enriched with vitamins amino acids and minerals.. . . .
A peanut free formula specially developed for conures who love the excellent flavor and variety.. Other small to medium sized parrots such as african grays and lovebirds will also love it. More than 35 ingredients. 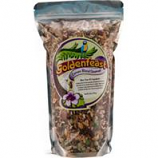 Made with natural wholesome ingredients. .
For all hookbills parrotlets and lovebirds.. Delicious blend of vegetables fruits nuts and herbs. Over 60 ingredients. . . Contains over 40 ingredients including 14 organic ingredients. No synthetic vitamins and zero preservatives. Made with natural wholesome ingredients. 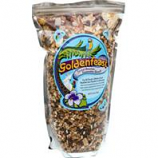 . .
For all exotic birds and other small animals. Made with natural wholesome ingredients. Over 15 ingredients. Blenderize with a favorite natural fruit juice for a delicious fruit pudding.. .
A nutritious supplement for all exotic parrots. Contains more than 20 ingredients. Made with natural wholesome ingredients. Peanut free!. .